Not many books make me want to keep them to re-read later but this one did! 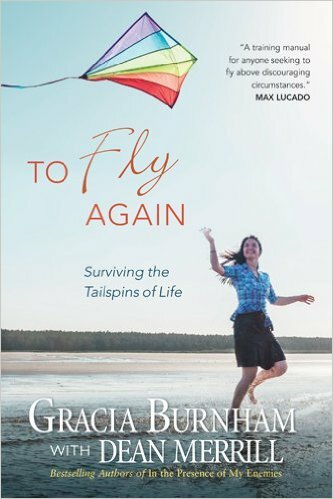 Gracia offers a lot of wisdom from the lessons she has learned as a hostage, wife, widow and mother. Yet she does so in a down to earth way that makes you feel like you are talking to a neighbor from down the street. Get one to keep for reading when you are going through tough times–and one to give to a friend. Gracia’s thoughts on how to focus on God’s grace in the midst of turmoil offer a lot of comfort and practical advice.